Nothing green here, but a few nice wines. This had been languishing in my stash for a long time, probably because I am not a huge fan of gewurz, nor of white wines that are 15% alcohol (unless its sherry of course). I took a coravined glass, and it was just as I imagined it would be; big, rich textured and sweetish, with plenty of length. Light easy refreshing glugger, with dark cherry fruits. A present from my sister who lives in California. This might be part of the new wave of lighter more elegant Californian wines we read about. It was very good; light slightly candied ripe cherries, but with a good acidic core, and nice length. Opened out beautifully to reveal a good depth of damson fruit. 13%. One of my favourite wines for many years, and one that ages very well too. A bit riper and rounder than usual, probably the vintage, but very stylish elegant dark cherry and damson fruits. Will improve with time. €27.95 – will feature in the Irish Times soon. An oaked aged Encruzado? It works really well, with subtle oak, lovely refreshing acidity and plenty of fruit. Not cheap at €29.99 but very nice wine. Regular readers will know that I am a fan of both the Godello grape and Valdeorras, the region where most of it is grown. The white wines are amongst the best, if not the best being produced in Spain at the moment (with the obvious exception of sherry). In style, with their mouth-filling fruit and excellent acidity, they have a certain resemblance to Burgundy, although usually without the oak-ageing. The quality of the wines has been recognized over the last few years, and they are now starting to take their place alongside Rías Baixas on discerning wine lists in Ireland. Yet back in the 1970’s, the grape had almost disappeared, replaced by Palomino and Alicante Bouschet. It was largely thanks to a small number of local activists, and two men from Rioja, that Godello was saved from extinction. One of those was Rafael Palacios. Valdeorras means Valley of Gold – the Romans mined gold here. They planted grapes when they had exhausted the mines. Over the last decade, the area has been completely revived. New plantings and new wineries abound. There are now some 2,000 growers, and 45 wineries. 90% of the wine is consumed in Spain. The climate is mainly continental but does have some Atlantic influences. The best vineyards are high up on the slopes at 500 metres, where the soils are granite and slate. The Palacios vineyards are largely in the granitic soils of Val do Bibei, one of three valleys in the D.O. They now own or farm over 100 separate parcels of vines. All three Palacios wines are aged in oak barrels, usually 500 litres, but any oak influence is very much in the background. Louro has some Treixadura (another local grape with real potential) blended in. Sadly the entry-level Bolo which sold for a bargain €17, is no more. Reading between the lines of what Palacios said, prices are rising and growers are increasing yields as Valdeorras becomes more popular. It is difficult for him to source good quality grapes (Bolo was partly made from bought-in grapes) at a reasonable price. The 2016 Sorte Antiga is the first vintage of this wine. (tank sample) Made from 17 parcels of vines, vinified separately. Nicely aromatic, with a delicious balance of fresh, lively citrus acidity and fat pure green fruits. Lovely wine. Around €22. Made from a small plot of ungrafted, gobelet-trained vines planted in 1920. It took Palacios ten years to bring the vineyard back to production –‘a very emotional wine for me’ he says. There was some skin contact in the winemaking. A quite stunning wine, with grippy, slightly pithy skins, a very saline intense mineral backbone and amazing length. A single-vineyard wine, north-facing and very windy, with vines planted in 1978. A herbal nose, hugely concentrated rich succulent fruit, backed up by that minerality finishing with a real flourish. Exceptional wine. 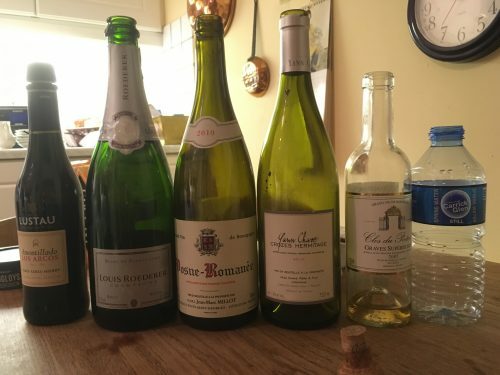 Two bottles at home over the weekend, but scroll down for the wines we consumed at my mother-in-law’s version of Babette’s Feast. Occitania Mauzac Blanc 2015, Limoux, Ch. Rives-Blanques is made by a very nice Dutch-English couple, the Panmans, who have now been joined by their son. The wines were shipped by Febvre & Co for years, and James Nicholson I think. Now it is with Alken Brothers, a firm set up by Anthony & Gregory Alken. Not sure of price yet, but a delicious wine and quite unusual to see a pure Mauzac. Most of it goes into blends or the local fizz, Blanquette de Limoux. Floral, herbal nose, quite rich tropical fruits with yellow apples too, and some peach. All held together very nicely by good acidity. La Bruja de Rozas is made by Commando G, three young winemakers who each work in different wineries, but come together to produce a series of wines. 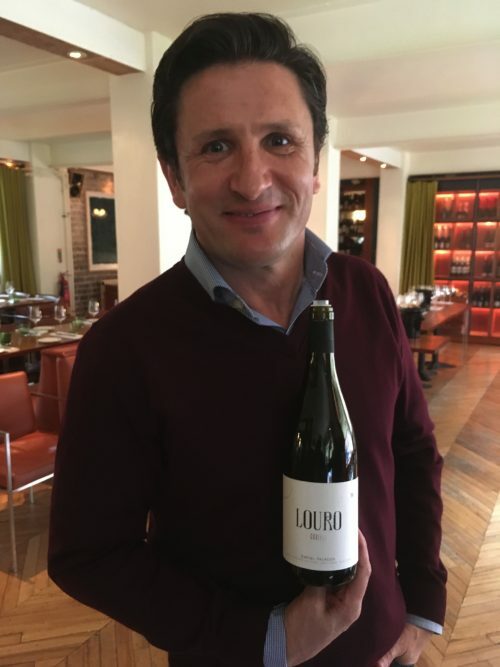 They argue that Garnacha, as traditionally grown in the Vinos de Madrid region, south of the capital, can have something of the perfume and elegance of Pinot Nojr. It does, with plenty of alcohol and body too. This is a single village wine, from granite soils at 850 metres. Lovely wine, violet aromas, strawberry fruit, excellent mineral backbone and good tannic length. 14.5% Around €25 I think. Babette’s Feast – in the late 1980’s, my mother-in-law, who is Danish, entertained guests to a re-creation of the menu of Babette’s Feast, a short story by Isak Dinesen (Karen Blixen). It was made into an Academy Award winning film in 1988; if you haven’t seen it, it is well worth doing so, especially if you like food. My mother-in-law recently offered to cook the menu once more, and I volunteered to provide the wines. It was a hugely enjoyable evening, with excellent food. I’ll do a full blog on it shortly, but the menu runs as follows: Mock turtle soup with Amontillado sherry, blinis Demidoff (with caviar and sour cream) served with vintage Veuve Cliquot; quail en sarcophage (stuffed with foie gras, and encased in puff pastry with a truffle sauce) accompanied by Clos Vougeot. Then follows Baba au Rhum with Sauternes, and fruit and cheeses with port. It all finishes with coffee and Hine Grande Champagne Cognac. As you can see from the lineup below, I allowed myself a certain latitude with the wines, Clos Vougeot Louis Latour 1845 being scarce on the ground, but we were served excellent renditions of every dish on the menu. New season extra virgin olive oil. For the last couple of years I have been given, or bought, a few bottles of new season Tuscan extra virgin olive oil. It has become one of my favourite seasonings at this time of the year. In the past, most wine producers in Chianti Classico and elsewhere in Tuscany produced both wine and olive oil. 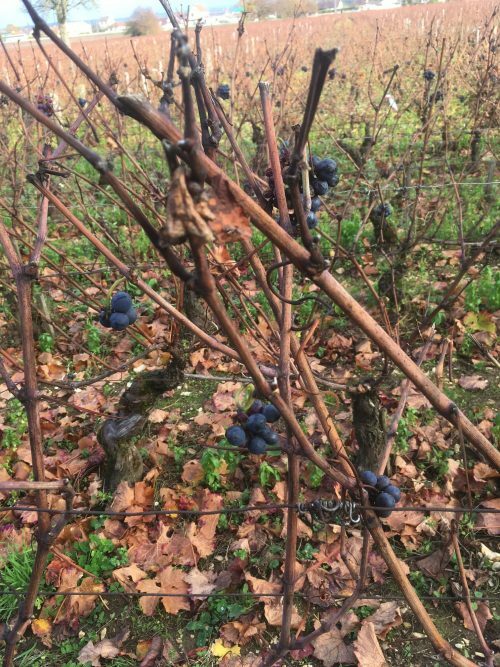 More recently David Gleave of wine importers Liberty encouraged a handful of top estates to make high quality oil; Liberty then release the new vintage every November or December (The River Café in London are huge fans, and even have their own bottling). In some ways, it is a pity that it cannot be released freshly pressed the following summer when the salad season is in full flow. However, it is a great addition to the store cupboard in winter and spring. I have been come quite addicted to it and drizzle it at the last minute on a variety of foods, from beans, pasta dishes with courgettes, cauliflower, peppers or on plain pasta with Parmesan, roast vegetables, steak and a host of other dishes. It brightens up just about everything, adding a slightly bitter peppery kick and a pure fruity richness. With a sprinkle of pepper and salt, it becomes a perfect dressing for any winter salad too. I am sure I remember reading that extra virgin live oil is full of anti-oxidants and all sorts of other good things, so it could be classified as the most delicious of all health foods. The oils are expensive – €20 or more for a bottle of half-bottle, but they last a while. Not too long though; they will last a year or more but I reckon they should be finished by early summer. Check the back label for a harvest date – 2016 is what you want. Earlier this year, David Gleave of Liberty gave a group of us an olive oil tasting in Jamie’s Italian in Dundrum. The names included Alpha Zeta, Capezzana (delicious) Petrolo, Fèlsina, and Fontodi. My favourite was the Fontodi, an organic oil, and I have a ½ bottle of that in my kitchen, but to be honest I would have been happy to have a bottle of any of these. They are available from Fallon & Byrne; Jamie’s Italian; 64 Wine, Glasthule; Lotts & Co, D4; Thomas’s ,Foxrock, Jus De Vine, Portmarnock; Clontarf Wines; Blackrock Cellars; Terroirs, Donnybrook; Green Man Wines, Terenure; Ballymaloe Garden Café; Red Island, Skerries; Grapevine, Dalkey; Sweeney’s, Glasnevin; Hole in the Wall, D7; Redmonds of Ranelagh; Cirillo’s, Baggot Street. Trimbach Reserve Riesling 2010 – this featured in my wine guide this year. A great mature waxy, nutty bone dry Riesling that retails for €23. Went very nicely with prawns and a Japanese cucumber and seaweed salad. Four wines from Dão, part of a tasting for an Irish Times article. The region produces some lovely refreshing red and white wines. Santenay 1er cru Clos Rousseau Les Fourneaux VV 2013, Bachey-Legros – around €30 from Le Caveau, this was quite closed with spicy dark cherries and a savoury edge. Good but not great – I suspect it will improve over the next year or two, and I probably should have decanted it. Nice wine though. Castello di Fonterutoli 2004, Chianti Classico, Mazzei – I bought six bottles of this ten years ago. You’d need 20/20 vision to read the vintage. It was very good, medium to full-bodied, with a good tannic backbone and dark chocolate and slightly earthy very ripe dark fruits. Went well with roast lamb. 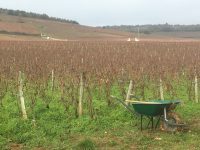 Burgundy, Cava, Garnacha, low alcohol wine and others – the weekend in wine. Lighter (9.5% alcohol) but still quite rich and a little sweet. It does capture the flavours of modern-day Marlborough Sauvignon. My daughter served it at her first dinner party and it went down very well. €14.99, €11 on promotion. Portugal makes some very good value inexpensive red wines; this has attractive cool nicely damson fruits and a tannin-free finish. His will certainly feature again. This is the best cava I have tasted in a long time. An excellent, elegant complex glass of fizz. Not trying to be Champagne, but with a unique character all of its own. €29 from Sheridans and Mitchell & Son online only. Given to me by Pataille on a visit there a few years back. It took a while to open out, but lovely cool savoury dark fruits, good acidity and an excellent finish. A world away from the lush ripe wines of Vosne-Romanée, but excellent Marsannay. I raved about this wine a year ago, so I was interested to see how it has developed. The answer is very well. Lovely piquant savoury dark fruits with a very attractive slightly grainy texture. Available for €17.35 (Barry & FitzWilliam), which is fantastic value. Brought by a friend to dinner, a brilliant single parcel wine, combining perfectly ripe elegant dark fruits with a fine backbone of acidity. One of the first wines made by Daniel Gomez Jiminez-Landi, a member of the Commando G gang, who make some stunning wines to the south of Madrid. To finish, two beers to taste while watching the rugby. Could have dome with another bottle. A very pleasant weekend, with two lovely light inexpensive Pinot Noirs and three interesting new arrivals from wine importers Vinostito, who know a thing or two about Spanish wine. A good hit rate; I reckon all of these will feature in the future, either in the Irish Times or on my blog. Very delicious elegant clean lively dark cherry fruits. At around €16.99 pretty good value too. This will feature as a wine of the week soon. 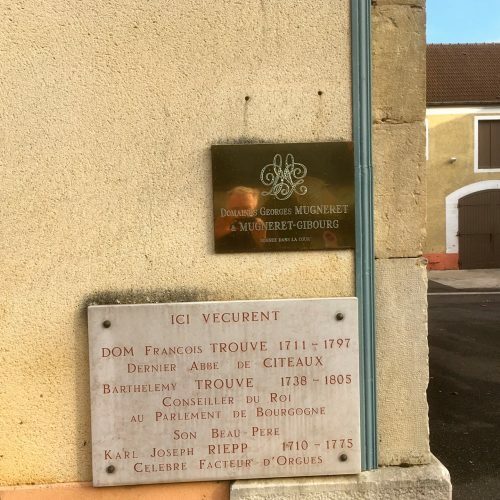 This is an expanded version of an article I wrote for the Irish Times on Saturday 11th February 2017, on the 2015 vintage in Burgundy. I worry about Burgundy. It produces my favourite red wine, and has probably given me greater pleasure (and at times heartache) than any other wine. But now supply, always a problem at the best of times, is getting worse. And more expensive. 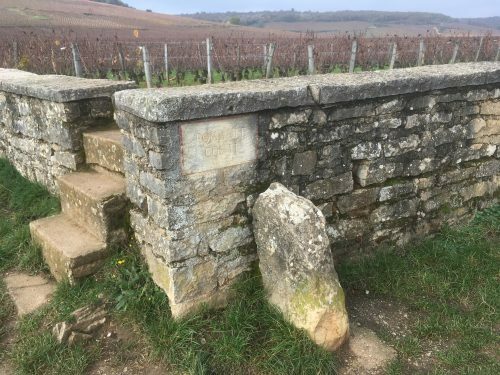 Interest in Burgundy from the Far East and elsewhere has exploded, with collectors willing to pay very high sums for the top names. At the same time, a series of small harvests has restricted availability. And now along comes the 2015 vintage, heralded by some as the greatest since 1929. Prices are moving steadily upwards, and quantities are even more limited than usual, 20-30% less than in 2014. A number of Irish importers are currently offering ‘en primeur’ offers of 2015 Burgundy, with more to follow later this year. This means buying a wine that is still in cask, only receiving later this year or in early 2018. I traveled to Burgundy last November with Liam & Sinéad Cabot of specialist importer Cabot & Co. The couple work with a range of exciting producers in Burgundy, so we had the opportunity to taste a wide variety of wines. 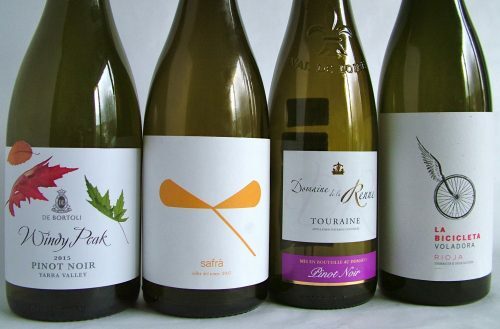 While most people tend to concentrate on red wines en primeur, they also offer some outstanding white wines as well. In addition to their own wines, the Cabots receive allocations from other importers, including a few very good names. They are also awaiting confirmation of an allocation from Georges Noellat one of the most sought-after new stars of Burgundy. There is no doubt that 2015 was an excellent year for red wines; leaving aside the hype (and there is no shortage of that) most are laden with perfectly ripe, succulent fruit, excellent concentration and good acidic balance. In a generally warm and dry growing season, the biggest danger seems to be low acidity, and an over-supply of sugar leading to high alcohol levels. In a region that traditionally struggled to ripen grapes (and frequently added sugar to increase alcohol levels ) this is an unusual problem. Two warnings. No matter how good the vintage, poor winemakers can still produce very average wine. Buy from producers (and importers) you feel you can trust. 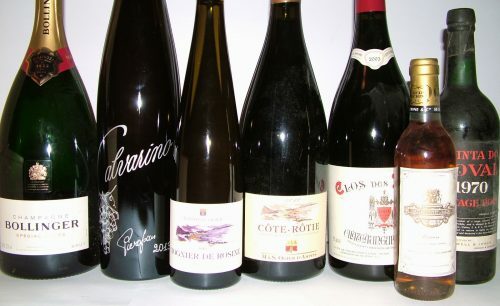 Many of the wines below are available in tiny quantities, so move quickly if you are interested. If you cannot find afford to buy caseloads of wine, keep an eye out for 2014 reds – an underrated vintage for both red and white Burgundy, and if you should happen to come across any from 2010, snap them up; this is an excellent vintage. I would also suggest keeping a few euros for 2015 (and apparently 2016 as well) from the Northern Rhône, as well as exceptional Pinot Noir (Spätburgunder) and Riesling from Germany. Having said that, I am certainly going to buy some 2015 Burgundy. Burgundy 2015 is being offered by Burgundy Direct, Cabot & Co., Searsons Wine Merchants and Greenacres. See below for comments on each offer. This is a great domaine, run by sisters Marie-Christine and Marie-Andrée Mugneret with their mother Jacqueline. Hard to chose here; all of the wines are impeccable, perfectly ripe and balanced, showing real elegance but with an underlying structure. I have no tasting note for the Bourgogne Rouge, but on past evidence, I would earmark this for drinking over the next few years, and the outstanding Echezeaux or Clos de Vougeot for laying down. Jean Marc Millot, now aided by his daughter Alix, makes some beautifully understated wines with wonderful purity of fruit. I have followed the Côtes de Nuits Villages ‘Aux Falques’ for years (currently drinking the lovely 2010) and would certainly buy again. Of the other wines, I loved the fragrant, pure Vosne-Romanée, and the superb Echezeaux, but all are of a very high quality. The Fixin here is very reasonably priced and with its cool, crunchy dark fruits has what the French call ‘un bon typicité’. Not the most glamorous estate, but well-made wines at very fair prices. Liam Cabot tells me they age very well too. Here I enjoyed the a lovely classic reasonably-priced Volnay and an excellent Pommard Les Epenots that will certainly repay keeping. The intense and studious Pierre-Yves Colin Morey recently moved into a large new cellar in Chassagne. From a string of brilliant white wines, I would go for the elegant Saint Aubin ‘Le Banc’, the excellent Chassagne Caillerets, or the stunning Meursault Genévrières. To be honest though I would be very happy to have any of these wines in my cellar; they have an impeccable fresh minerality and elegance. Conor Richardson of Burgundy Direct is making his 25th Burgundy offer. He says ‘2015 Burgundy is an excellent, possibly an outstanding vintage. Though much hyped, much anticipated and certainly much sought-after, there is always the thought that perhaps ‘excellent’ and / or ‘outstanding’ vintages come around too often to merit such laurels. Skepticism is understandable in what has become an increasingly commercial world, but there will surely be no doubt that wine lovers generally and Burgundy lovers in particular can only be hugely impressed by this very, very fine vintage’. From the very fine Burgundy Direct offer, I am a huge fan of Ann Gros and her wines, and I would love to have a few cases. I have bought both the Hautes Cotes de Nuits and Bourgogne Rouge before and always been very happy with them. But there is also Robert Chevillon, Patrick Javillier (excellent whites) de Vogué, Marc Colin, Vincent Dancer and Joblot, all excellent producers. Donal Morris reports ‘the reds are superb and certainly the best since 2005 and even surpassing it. They have a lovely purity of fruit, a luscious concentration and are very fragrant. 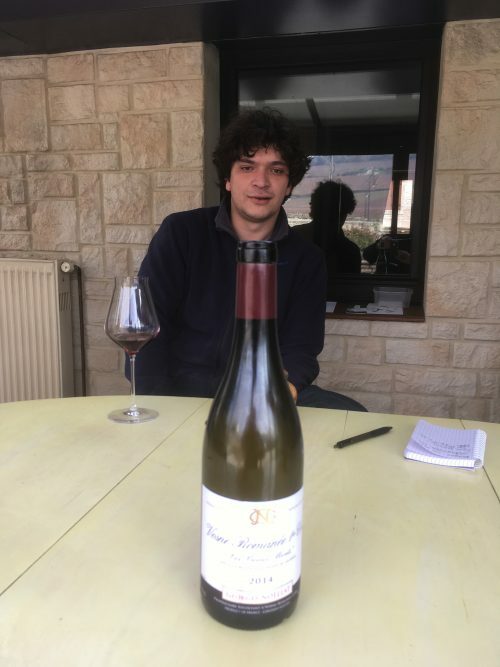 And this is right across the region.’ From their offer, I would head straight to Benjamin Leroux, one of the new stars of Burgundy, not forgetting Marc Morey, Robert Chevillon, Robert Groffier, Hubert Lignier and many more besides. Searsons of Monkstown also have a good offer. Here, I would head straight for Tollot Beaut, one of my favourite producers (the Chorey-les-Beaune and Savigny 1er cru generally offer exceptional value) and also to Comtes Lafon, including his excellent wines from the Maconnais. See searsons.com for full details. This year, I intend going magnum where possible on Christmas Day. See below for the plan, and please excuse the poor image. For many years, I received a magnum of Bollinger every Christmas from the late Pat Byrne, a friend and colleague in the wine trade. He is greatly missed. The magnum was my fee giving a wine talk to the members of the National Yacht Club in Dun Laoghaire, a very nice bunch of people. I would put the magnum away for a year, sometimes two, before opening it up on Christmas morning. This is my final bottle, so I will drink a special toast to Pat, who loved his Christmas dinner. The Champagne should be pretty good too. I have been eying this up in my local wines shop, La Touche Wines for the last year or more. I am a huge fan of Pieropan, one of the great white producers of Italy, and have a number of bottles of Calvarino stashed away; it matures beautifully. This one won’t get the chance to age gracefully. It might be a bit light for the seafood – prawn salad I think, but I doubt it. In any case, it will be light and elegant with a mere 12.5% alcohol, keeping everyone sober for the moment. In case that isn’t quite enough, I will chill a bottle of this wine from Stephane Ogier, also responsible for the wine below. This is made from vines located just outside Condrieu, home to the greatest Viognier in the world, which explains its lowly Vin de Pays status. I have written about the wine before, and it appears in Wilson on Wine 2017. It will provide an interesting contrast to the Soave, although it has the same 12.5% alcohol, less than in most Condrieu. Stephane Ogier is one of the bright stars of the Northern Rhône and 2010 a very good vintage. Possibly a little young, but I will decant it into my magnum decanter, which up until now, has only been used for mere bottles. This was a thank you gift a couple of years ago. I am really looking forward to this. I am not sure we will need it, but I will have this standing up as a fall-back. A wine with an incredible reputation, from the amazing fine wine room at Jus de Vine in Portmarnock. I last tried this a few years ago down in Kelly’s Resort Hotel, at a tasting tutored by Vincent Avril, the owner of Clos des Papes, and brother-in-law of Bill Kelly. Back then it was very very good, but closed. We shall see. I intended opening up a bottle of Fonseca 1970 bought in the 1980’s, when I worked with Mitchell & Son, then located in Kildare Street. I think I have drunk two so far, but there is no rush with vintage port. However, I wasn’t able to get to my cellar, which is located in a (trustworthy) friend’s house, so I will open up this Noval 1970 instead. Some online reviews are very lukewarm, but we shall see. I have plenty of alternatives, including a few nice bottles of sherry. I have a diminishing pile of ½ bottles of assorted Sauternes from my time in Searsons, so I intend opening up my last ½ bottle of this, to drink over a few days. 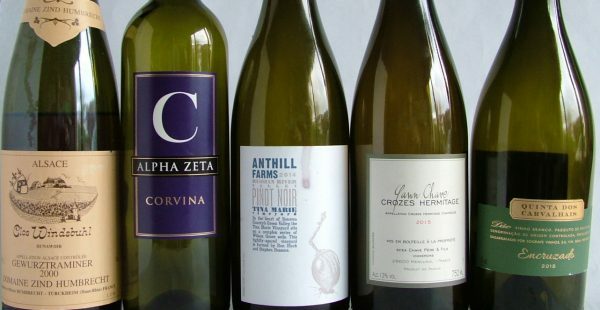 This post came about as a result of a challenge set by a Twitter follower; to name my top five red wines for under €20. I have expanded it out here to ten wines. All have appeared in the Irish Times or on my blog before, and many in Wilson on Wine 2017, but I thought it might be good to see them all together. Doubtless they will change soon. In the meantime I have bought myself six bottles each of the Dâo, Geil Pinot, and Roka for drinking over the next few months. I have a weakness for unoaked (or very lightly oaked) Rioja. I love the lively aroma, the pure cherry fruits and the refreshing acidity. Here they come together in an easy-drinking but sophisticated wine, great for sipping alone or for drinking with a variety or red and white meats. This example, made by a Rioja producer, from grapes grown within the region, doesn’t actually have the name Rioja on the label, but it certainly tastes like it. Worth buying in quantity for the season ahead. €11.95-€12.95 from Mitchell & Son; Avoca Rathcoole; Le Caveau, Kilkenny; Baggot St wines; Blackrock Cellar; Corkscrew; Fallon & Byrne; Listons; MacGuinness; Green Man; 64 Wines; World Wide Wines. This has been one of my go-to wines for a few years now, and I know I am not alone; many of our independent wine shops do a brisk trade with it. The label has changed recently, but the wine is just as good . Succulent ripe red fruits with a smooth tannin-free finish. Light harmonious and very quaffable. A good all-rounder to drink by itself or with white meats – creamy chicken with pasta sounds good. €13.50 from Mortons, Ranelagh; McHughs; Blackrock Cellar; Gibneys, Malahide; Avoca Rathcoole; Wicklow Wine Co.; Jus de Vine, Portmarnock; Baggot St Wines; DrinkStore, D7; Martins, Fairview; Browns Vineyard, Portlaoise; Red Island, Skerries; Probus, Fenian St; Sweeneys, Glasnevin; 64 Wine, Glasthule. The label is fairly dazzling, and so is the wine. The Campo de Borja region produces large quantities of big ripe warming red wines, usually made from Garnacha. This is a warm hug of a wine. 14.5% alcohol, it is big, rounded and ripe with soft spicy strawberry fruits and a very decent supple finish. Fantastic value for money. Perfect for barbecues and other red meats. €13.95 from Bradleys, Cork; 64 Wine, Glasthule; Next Door, Arklow; Searsons.com & Searsons Monkstown; Drinkstore, D7. A world away from the big tannic oaky monsters that once made up most of Ribera del Duero. This unoaked ‘young’ wine has forward floral aromas and delicious pure damson fruits. It packs a fair punch too, coming in at 14.5%, but you would hardly know it. Great value for money and perfect with roast lamb and beef. 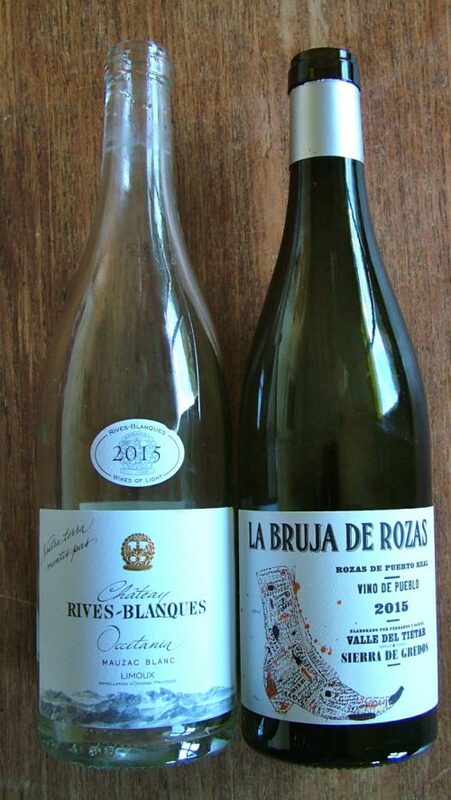 €14.50 Red Island Wines; 64 Wine; Wicklow Wine Co; Clontarf Wines; Listons, Camden St.
Beaujolais is finally coming back into fashion as we seek wines that are lighter in style. I spent a few lovely days in the region earlier this year, tasting the various crus. I also visited this estate. This wine is one of the best, and certainly superior to many of the cheap Fleurie you will come across in the shops. Wonderful aromas and pure sweet red cherry and blackcurrant fruits with a touch of liquorice. Patés, cheese and all things porcine, including belly of pork, ham and boiled bacon, as well as roast chicken. €16.75 from Martin’s, Fairview; 64 Wine, Glasthule. Made by Irish couple Sinéad & Liam Cabot from their own grapes, both this and their equally delicious white Šipon are really good wines, and quite amazing for a first real effort after a few limited releases. The Blaufränkisch is a true vin de soif, with fresh supple cherry and damson fruits, but that really does it a disservice; this is a wine with plenty of depth and concentration. Well worth seeking out. €16.99 from Cabot & Co;, Westport; No.1 Pery Square, Limerick; Grapevine, Dalkey; The Poppyseed, Clarinbridge; McCambridges, Galway. If your tastes run to rich full-bodied reds, stay away from this wine. It is a delicious refreshing light red with a savoury edge to the clean damson fruits. Moreish, and with a mere 12.5% alcohol, you don’t have to deny yourself. Charming free-flowing light supple sweet cherry fruits with a nice kick of acidity. Try it with salmon, tuna or pork. I have tried this several times in wine bars recently, including La Touche and Grapevine in Dalkey. It seems to suit all tastes, and is light enough be drunk without food. €16.95-17.95 from La Touche; Grapevine; Mortons; Sweeneys; Redmonds; Wicklow Wine Co; Mitchell & Son; Listons; Jus de Vine; Drinkstore; Corkscrew; Blackrock Cellar; 64Wine. This was a really enjoyable wine, classic Bordeaux, with clean blackcurrant fruits, a seam of acidity running through, and a light dry tannic bite on the finish. I had mine with a roast shoulder of pork (Tamworth, from ethicalpork.com, excellent) and it was very good. I suspect it would be even better with lamb. Affordable well-made Bordeaux. €19 from Green Man Wines, Terenure; 64Wine, Glasthule; Fallon & Byrne, Exchequer Street; Clontarf Wines; Mortons, Ranelagh. Medium-bodied and perfumed with fresh clean dark fruits; delicious, but if I was feeling flush I would go for Ortega’s Roc (at €30). I have been on a big Mencía kick for the last few years. I still love the Castro Valtuillé Joven, and the Brezo de Grégory Pérez, both widely available from independents, but I have really enjoyed this several times at home over the last eight months.